This level have normal difficulty and you need to play with good trick. First you should try to play near to blockers to break them and then timer bomb. After break green candy whenever you get chance with balancing the Odus owl. 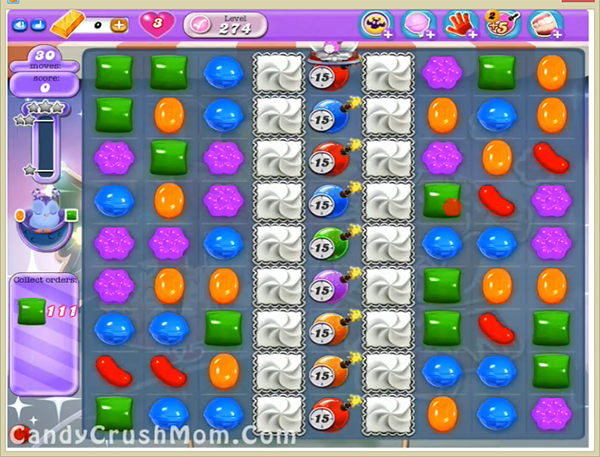 After wait till 17 moves and after moon struck use colorbomb with green candy or other special candies to complete this level order. We completed this level with 627520 score using special candies and above trick that help to complete this level with three star score.